Shortcodes are a great feature of WordPress, and many plugins include their own handy shortcodes. For example, WooCommerce includes several shortcodes. These can allow you to create “Buy Now” buttons, insert products into blog posts, display related products or featured products, and more. While these shortcodes are really helpful, as are the shortcodes included by most plugins or extensions, it’s still very useful to create a WordPress shortcode for your own use. Insert content that you find yourself repeating, such as a refund / return policy. The WordPress codex information on shortcodes makes a good guide to shortcodes, but let’s walk through creating a couple of simple shortcode types. You can use these or extend them to create a WordPress shortcode of your own. Remember to properly add this code to your site via a plugin or snippet with Code Snippets. Let’s create a shortcode that will insert our refund policy, which we can use on a product page, blog posts, or our refund policy page. This can be any content you’d like, including an image. Our shortcode will be able to accept any valid HTML. While some shortcodes “open” and “close” with a structure like [my_shortcode]Some Content[/my_shortcode], we can also have a very simply shortcode that just inserts something with a structure [my_shortcode]. This is the kind of shortcode we’ll build first. Sorry, we’re not able to offer refunds on this product since it’s customized! Please be sure spelling and options are correct before ordering. A handler function. 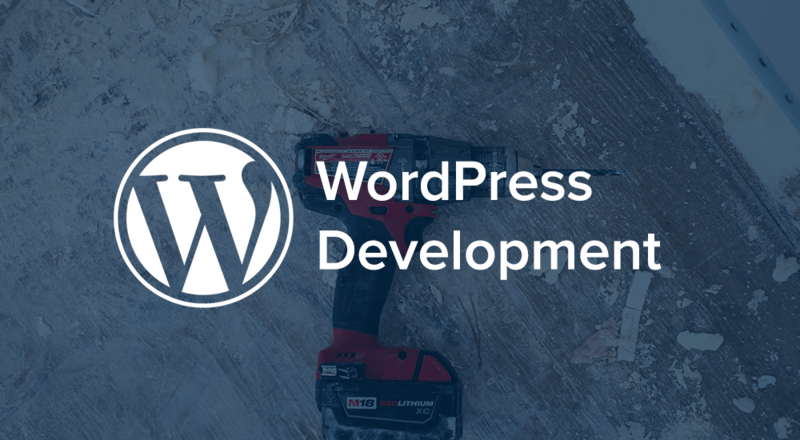 This function will create the functionality of the shortcode – essentially, this function will tell WordPress what the shortcode should do. A shortcode name. We’ll use this with the WordPress add_shortcode() function to create the shortcode. The name for this example will be sv_refund_policy. There are a few things to note. First, I pass in $atts for attributes to the handler function. However, this shortcode won’t have any attributes, so we don’t have to set any. I also didn’t have to buffer the contents of my HTML by wrapping it in the ob_start() and ob_get_clean(); functions, but did so here for an example. If you output HTML to the page with a template tag or another function, you’ll want to include this (I do it out of habit anyway). Without buffering the contents of the shortcode, your HTML will just display at the top of your page since your shortcode will be expanded before your content. This is also needed if you echo something on the page rather than returning it. Also note that I’ve used a backslash in front of my apostrophes to escape them. This is necessary as a PHP indicator that I’m not closing the return part, but rather this is part of what I want echoed. Now, let’s use this function to register our new shortcode. Add the shortcode name first, then the handler function name to register it. That’s it! Put these two tiny bits of code together into a snippet or plugin. Now you can use [sv_refund_policy] anywhere on your site, and it will display your refund policy instead. We have lots of examples of these simple shortcodes in our post on Advanced WooCommerce Social Login uses. This kind of shortcode will require another variable passed into our handler function. We’ll have to pass in the $content variable. You can set a default for the content by using $content = default, but most likely you’ll see this without a default set: $content = null. Let’s create a shortcode that will display a message to logged-in users. This could be used to display a coupon code to registered customers if they’re logged in. We’ll also display a generic message to non-logged in users. Our shortcode content will be the message, and our handler function will first check to see if the user is logged-in before displaying this content using a conditional tag (we’ve explained their use in this tutorial). We’ll create an [sv_member_message] shortcode that displays a message. Go nuts with your holiday promotions! You can provide these coupons to customers only in your blog or on pages on your site. Let’s create a button for which the content will be the button text, and we’ll use arguments for the button URL and target (whether it opens in the same window or a new one). When we create our handler function, we’ll still include the $content, but we’ll need to change the $atts into an array of options using the shortcode_atts() function. Let’s create array $a of our attributes, and this array will include the URL and target (use all lowercase names). You can set the default value for each, which will be used if they’re not set within the shortcode. Notice that I add default values for each of these, and then I reference the items in the array in the HTML that I return using esc_attr($a['url']). This will access the value for the 'url' key and insert it. The same can be said of the “target” portion. I’ve also added a class for this button, and added styling to my CSS stylesheet to turn it into a button rather than just a link. The button will link to my URL, and will open in a new window since I’ve set the target as _blank. You can create a WordPress shortcode to insert content, extend a plugin’s functionality, or execute a task when used in WordPress. While these are beginner examples, shortcodes can be used for more complex functions. However, they’re easy enough to add that you can start creating your own for your WordPress site. Great Beka! Really useful post! Excellent tutorial Beka! I’m looking to build a pricing table shortcode exactly like Avada theme has. Could you please help me in that? Hey Deven, I’d recommend using a plugin to do that so it’s theme-independent. The Easy Pricing Tables Lite (free) plugin is great, and I use the pro version ($29+) myself on another site. Great little tutorial – I’ve used it to demonstrate to some of my WordPress students and it works a treat! I’m trying to use the WooCommerce shortcode to display filtered product categories. Or: Show products that are in Category X but NOT category Y. The standard shortcode is [product_category category=”X”]. Operators could be && or || or == or != etc – whatever works best. Hey John, you’d be better off creating your own new shortcode instead of trying to modify the default WooCommerce one. The logic around querying those products is definitely higher level stuff, I’d recommend creating a shortcode that does your own taxonomy query, perhaps using multiple attributes like [custom_product_cat category="slug1, slug2" relation="and" not_in="slug3"] instead of trying to parse a math-like string. I am trying to find the right way to reference a membership (I just made up the ‘is-user-member’, but I assume there is something similar. Can you give me a hint for creating such a shortcode? PS: WooCommerce Memberships does have a shortcode for restricting content based on membership, e.g. [wcm_restrict plans=”basic-membership”]. I just want to do the opposite. Thanks. I am using that already though. What I am looking for is a way to restrict content for specific non-members, not non-members in general. The wcm_nonmember shortcode does not take arguments, so I can’t do that.